See our list of the latest new hotels in Hong Kong opened in the last few years, with all the best openings for 3, 4 and 5 Star accommodation on Hong Kong Island and Kowloon. A new luxury hotel opened in April 2019 in Wan Chai offering 117 guest rooms and 17 Suites and featuring a heated outdoor pool, pool bar, health club, two restaurants and a bar. This new ultra luxury hotel opened in mid March 2019 on the Kowloon waterfront, overlooking Victoria Harbour. 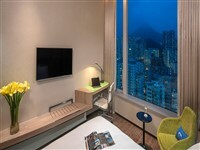 A recently opened new 4 Star hotel in Tsim Sha Tsui, Kowloon, offering a total of 197 guest accommodations, with Superior, Deluxe, Triple and Family Rooms, most with views over Kowloon Cricket Club. 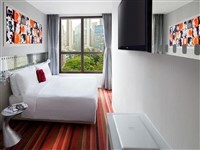 This new 3 Star hotel in Kowloon East, was opened by IHG in December 2018. The property is just 5 minutes walk away from the MTR station for easy access to the rest of the city. 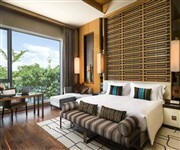 A new luxury resort hotel on Hong Kong Island opened in mid November 2018, located next to the Ocean Park theme park. A new hotel in Central, HK Island, opened in October 2018 offering 34 stylish, modern guest rooms. A recently opened boutique hotel, with a good location in Kowloon. 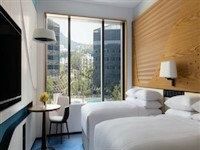 A recently opened new boutique hotel on Hong Kong island, offering 99 harbour view or city view guestrooms. A new 3/4 star hotel offering a range of good value rooms, 30 minutes by MTR from Hong Kong Disneyland. A new luxury hotel in North Point on Hong Kong Island opened in July 2018 offering 671 accommodations, many with fine views over the Hong Kong harbour. This new 4 Star hotel and serviced apartments opened in June 2018, located along Jervois Street on Hong Kong Island. 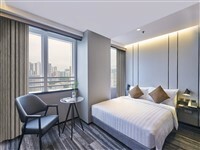 This new good value hotel opened in May 2018, offering 170 guest accommodations in six different styles, located in Kwai Chung, within walking distance of the Kwai Hing MTR Station. A new 3 Star hotel in Tsim Sha Tsui opened in April 2018, in a good central location along Cameron Road, close to the MRT station, offering 56 guest rooms. 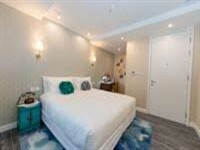 This new Thai themed hotel in Tsim Sha Tsui on Granville Road, opened in April 2018, offering guests four room types from the 18 sqm Superior Rooms and Deluxe Rooms, 25 sqm Premier Rooms, to the 35 sqm Executive Rooms. The hotel has an on-site restaurant serving a variety of South East Asian cuisine. This new mid-range hotel in Kwun Tong, East Kowloon opened in February 2018 and offers good value accommodation, with 598 guest rooms, many offering fine views over the bay to Hong Kong Island. The new 5 Star hotel in Central, Hong Kong Island opened in January 2018, The Murray features 336 guest accommodations ranging from spacious Deluxe Rooms measuring 47 sqm, to a variety of luxurious Suites. The property features a good selection of fine dining establishments, rooftop bar, swimming pool, spa and gym. A new 4 Star hotel in Hong Kong Island's Wan Chai district opened in December 2017, offering a total of 299 guest accommodations from 22 sqm Superior Rooms to Executive Suites. 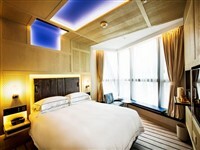 This new 3 Star hotel offers a good location in Wan Chai, between Causeway Bay and Central on HK Island. The hotel was opened in December 2017 and offers 50 good value rooms, ranging from 13 sqm to 23 sqm. This new deluxe hotel opened in September 2017 in one of the trendiest neighbourhoods in Hong Kong Island, offering a total of 148 guest accommodations from 13 sqm Superior Rooms to 18 - 25 sqm Premier Rooms. This new hotel on Lantau Island, HK, opened in April 2017 and is the newest of the three Disneyland Resort hotels. A new luxury hotel in Kowloon opened in April 2017, the Kerry is a relatively new brand of the luxury Shangri-La Hotels and Resorts group. This new property offers a total of 546 guest accommodations, many with fine views over Victoria Harbour and the impressive Hong Kong Island skyline. Deluxe Rooms measure 42 sqm and come in either "City View" or "Sea View" varieties. Premier Rooms are more spacious at 52 sqm and also come in either Sea or City view varieties. Upgrading to the hotels "Club Rooms" offers extra personalised service and access to the private Club Lounge, where you can enjoy complimentary breakfast, drinks and snacks throughout the day and cocktails and canapés in the evening. The Kerry also offers a range of more spacious and luxurious Suites with a separate living area and kitchenette, ranging from 90 sqm Executive Sea View Suites, 143 sqm Specialty Suites, to the 290 sqm Presidential Suite. The property features the Kerry Health Club with a fitness centre, outdoor heated swimming pool and various studios for keep fit, four on-site restaurants and a bar. This new luxury boutique hotel in Kowloon was opened in early 2016 and offers just 32 guest accommodations in spacious rooms and suites, with all the comforts of a luxury residence. Deluxe Olympian Rooms measure between 43 to 50 sqm and offer a King size bed and views of the city from their floor-to-ceiling windows. 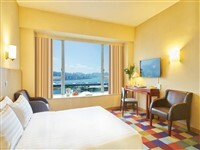 Grand Harbour View Rooms are between 60 to 66 sqm with a King size bed and fine views of Victoria harbour. Olympian Suites measure 66 to 75 sqm and come with Twin or a King size bed. The property features a fitness centre and a private lounge.